Have you ever noticed that the Acura logo looks somewhat similar to that of Star Trek? Of course, this could be just pure coincidence, but is it? 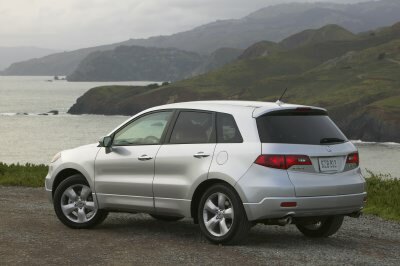 Just take a look at the new 2007 Acura RDX entry-luxury SUV/crossover vehicle. I think that there might be one or two sci-fi enthusiasts behind this model's design. The exterior styling of the RDX could be described as somewhat similar to the Acura MDX model, yet it appears to have a much more futuristic look about it. The distinctive and slightly pointed front-end idea has now been carried to the rear, which makes this model instantly recognizable from any angle. The vehicle also appears altogether more streamlined and car-like than the MDX. Acura says that it envisions the RDX as more like an SUV version of its TSX sedan. There appears to be a certain “X factor” to these nameplates. In fact, out of the six models that the company has on offer, four of them end with the letter X. Then there is the vehicle's power plant to consider. Acura has boldly taking the RDX where no other North American Acura has gone before, into the world of the turbocharged vehicle. Underneath the hood lies an all-new 2.3-litre, double-overhead-cam, turbocharged inline four with i-VTEC. Developed in conjunction with Mitsubishi, this variable-flow turbo combines the best qualities of both small and large turbo units. The result is 240 hp at 6,000 rpm and 260 lb-ft of torque at 4,500 rpm. For Honda die-hards, this might appear as if the company has gone out of orbit. According to the folks at Acura, they ventured down this route because of the new technologies now available to them that made the turbo-four a better design choice than the normally-aspirated V6. This was no small step for the company to take, but it could certainly be deemed a giant leap in combined performance and fuel economy. Now this small turbo-four might not be able to reach warp-speed, or indeed transport you from place to place in a blink of an eye like Captain Kirk's ride. It is, however, more than capable of setting your pulses racing, especially when compared to most SUV-style vehicles. It can even give one or two sports sedans a run for their money. On the road, power is sent through a five-speed automatic transmission, with modern paddle shift controls behind the steering wheel, to an all-wheel-drive system similar to that found on the company's RL model. The RDX comes with a fully independent suspension system, MacPherson struts are fitted to the front and the rear utilizes a multi-link design. I would call the ride firm but friendly and I found the handling characteristics of the vehicle to be exceptionally good. The package is finished off with some nice-looking 18-inch rims and tires, which not only add to the design but further enhance the SUV's road-handling capabilities. We now get to the interior and this is where the new RDX design pilots take a big leap into the future. The first thing that you notice is the distinctive steering wheel, which has an ultra-modern look to it and seems to carry the familiar logo as its spokes. The dashboard layout is equally impressive and appears extremely well put together. 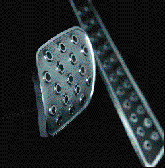 Its three-pod instrument design makes the reading of the gauges simple and the controls fall readily to hand. The vehicle boasts a whole host of state-of-the-art technical features like satellite navigation and Bluetooth connectivity. The 6.5-inch LCD display screen (8-inch if upgraded) dominates the centre dash and the display is controlled by a large knob like the one that previously was seen on the RL model. The knob controls all of the screen menus and I found it extremely easy to use, especially when trying to input street names into the navigation system. There is comfortable leather seating for five and, although the cargo area is not as large as some of its competitors, Acura has made good use of additional storage sites. 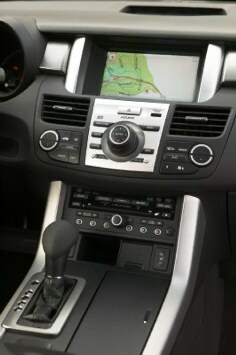 The centre console is truly worthy of note, as it appears to be of normal size, except that it can hold a notebook computer, possibly even two. It has been well thought out as there are flaps inside which fold up so the box can be made as deep as you wish. That's clever! Acura states that this vehicle is aimed at the young professionals and I'd say that they have their sights bang on. It boasts stylish good looks, coupled with above-average performance and more than enough room for most people's requirements. It has all the modern technical features that buyers are seeking and wraps the whole package up nicely in an up-market wrapper. 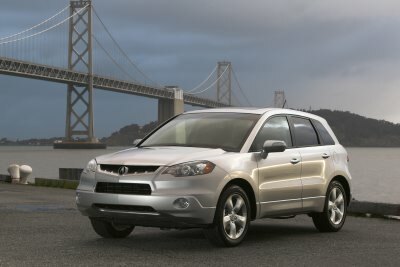 I found the RDX to be a very forward thinking and futuristic design. Although I love the retro-look vehicles that we are seeing nowadays, this blast into the future approach is also cool. If this is what the future holds for car manufacturing, I say great. Now if I could only find that teleport button! Kevin 'Crash' Corrigan is a regular contributor to CarTest!. He is based in Caledon, Ont., and can be reached at crash@crashcorrigan.ca.